Burmese Kush is a beautiful mix between Trainwreck and White Widow. The addition of the Trainwreck from California is experience through the powerful effect that unexpectedly hits you like a train you didn’t see coming. The composition is 90% Sativa and 10% Indica. Thanks to the White Widow component in Burmese Kush, it’ll give you a good yield. Burmese Kush works fast on intense pains and therefor is very popular in medicine. 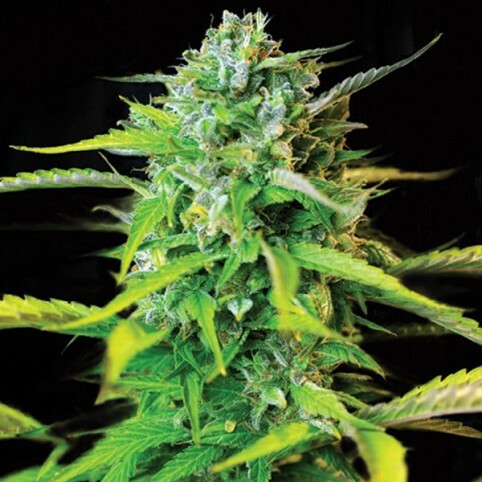 Burmese Kush can be grown both indoors and outdoors, but she prefers to be grown outdoors. It’s not the easiest plant to grow, but certainly not the hardest either. Sometimes it’s a good thing to give your plant some extra attention, because the yield will be even more rewarding. This is the case with Burmese Kush. It has a blooming period of about 9 weeks and when grown outside it can be harvested in October. Burmese Kush gets fairly big, but you’ll get a yield according to the size! Burmese Kush’s flavour is pepper-like and when you taste it you’ll already know the effects are going to be powerful. It burns out quickly and produces a thick and heavy smoke, which will probably make you cough. Even though the plant is mainly Sativa, the effects are generally the calming ones you’ll get from an Indica. Burmese Kush causes an extremely powerful effect. It even works on most heavy pains. Smoking the Burmese Kush will make you calm, relaxed and inspired, give you deep thoughts and a powerful stone.